Do you remember our project managers team we introduced recently? These awesome fellows deal with all the questions and requests that come from you and your fellow dropshippers! Some of these questions are really unique, but of course, many of the questions are similar or even identical. To deal with it, we have created a special knowledge base where you can find answers for the vast majority of the most common questions. Still, we found it necessary to make several articles dedicated to the most popular questions. We are going to do it on a regular basis – this way, you will always be able to find something helpful. This series of our Q&A session is all about AliDropship plugin – we have collected top 10 questions that we get from our clients and readers most often. 1. What is AliDropship plugin? Simply speaking, AliDropship plugin is an additional piece of technology that you can install on your WordPress website. It will work with WooCommerce as well! With the help of this plugin, you can easily build your own drop shipping store. What can you do after you’ve installed the plugin? With the plugin, you are fully independent with your business choices. It’s up to you what products to sell, what markup percent to add, and how to run your store. Basically, you’re your own boss now! 2. Can I start drop shipping business living in my country? The whole model of drop shipping business means that you are free to do it from ANY point on the globe. AliDropship plugin has no limitations as well – you can use it in any country. Speaking of the geography, it’s important to say you can use AliDropship plugin to customize your store if you’re targeting some specific country. Maybe you just want to go global, and this is awesome. But if you want to work with people from some exact country or region, you can easy make your store appealing for them. Well, first of all, you can set any currency you like. US dollars, euros, British pounds, etc. – you are free to choose any national currency to make your store visitors comfortable. They will see this currency in items’ price, and also on the checkout page when they are ready to make the payment. Secondly, remember that the language matters! For example, when you’re editing single product pages to make them look good, you can import customer reviews from AliExpress. That’s a really good thing because people trust other clients’ reviews, right? Thanks to the plugin, you can automatically translate the reviews left in any foreign language. Or alternatively, import only the reviews left by a citizen of a specific country – the plugin can do this, too. 3. What is the difference between AliDropship plugin and AliPlugin? Oh, we’re speaking of 2 really different things now, so be attentive! AliPlugin is an affiliate plugin. You can’t build an independent store with it. Yes, AliPlugin lets you import products from AliExpress, but your site will NOT be a marketplace. When your store visitors click on a product, they are redirected to AliExpress, and that’s where they make a purchase. With this type of business, your profit is the commission for every purchase that happened on AliExpress with your help. At the same time, AliDropship plugin is the thing that helps you build your very own drop shipping store. You’re a full owner, and all the purchases happen in your store. 4. How many sites can I create with the Plugin? When you buy AliDropship plugin, you get your own personal license key. This key is valid for one website/domain name. But if you decide to create another webstore in future, you can transfer your license to it for free. 5. Is $89 a one-time payment? You only need to pay ONCE. When you buy AliDropship plugin, you get a lifetime license. You make only one payment to get the plugin, there are no regular payments or any hidden fees. 6. Can I use AliDropship plugin with WooCommerce? AliDropship plugin has 2 different versions: the original AliDropship, and AliDropship Woo. So, if you need a plugin for WooCommerce, it is better to choose AliDropship Woo. 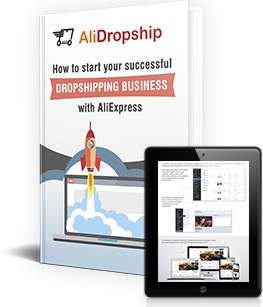 Check out this guide to learn more about AliDropship Woo. 7. Can I switch to AliDropship Woo plugin in the future? Please remember that all of your settings will be lost in this case. The original AliDropship plugin and AliDropship Woo are not compatible with each other. So, you will need to reinstall your WordPress, and start your website from scratch. On the bright side, you won’t have to buy another license key! Just let us know, and we will reset the license you already have. 8. Is AliDropship plugin compatible with Shopify? No, it is not. 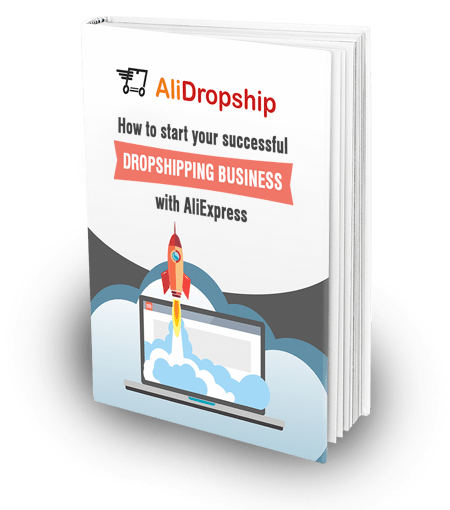 AliDropship only works on WordPress-based dropshipping sites. 9. What are the payment gateways available? If your webstore is based on WooCommerce, there are tons of gateways to choose from! Please check out this guide to learn which payment gateways you can use. 10. What themes & design can I use? The original AliDropship supports our built-in themes only – you can take a look at them here. AliDropship Woo plugin is compatible with any existing WooCommerce theme – feel free to use anything you fancy! Read more about themes and design of AliDropship stores. These were the top 10 questions about AliDropship plugin we most commonly get. …DROP SHIPPING STORE MARKETING AND PROMOTION! So if you have any questions related to the topic, feel free to leave them in the comments section below. And if you have any other questions, don’t hesitate to ask them as well! Unfortunately customers cannot use the internal woocommerce tracking functionality since the alidropship woocommerce plugin does not offer a solid solution yet. AliDropship Woo plugin has the same auto-order and auto-tracking systems, so the Woo version of the plugin has all necessary tracking functionality. 1, How do you handle returns, especially if you are in another country. 2. So as I understand it, with one plugin I can build several stores but I will have to move the plugin from one store to another? 1. AliExpress has a good protection system with full money back guarantee. So, if your customer is not satisfied with a product and asking for refund you should dispute the purchase with AliExpress seller. If you are selling not expensive products your AliExpress suppliers usually refund you quickly without having to return the items because they don’t want the headache of disputes and receiving returns for relatively low value items. This enables you to give a full or partial refund to your customer through PayPal without them having returns either. The reputation of the wholesaler is rather exposed and they are willing to do anything to maintain their feedback rating. 2. One plugin license is valid for one domain, so there is no possibility to build several stores with one license. If you want to transfer your license to another domain, the first one will not work. if there’s a change in price in aliexpress website,is it automatically change too if we use the alidropship plugin? yes of course, you can use the option to make plugin change your prices according to AliExpress. Do I need a website hosted before I get this plugin. Or I just need a wordpress account? To install the plugin and theme, you need to have a domain name, hosting and WordPress installed. Please, how can I download Woocommerce? What about the shipping charges and the delivery durations?? Can we edit or get rid of any price tags and logos from the seller? How do we get our winnings into the bank account? You can connect credit card to your PayPal to withdraw money. As Aliexpress plugin IS NOT compatible with Shopify why do you keep trying to get me to buy it??? 1. It is not AliExpress plugin, it is WordPress plugin. 2. Shopify and WortdPress are absolutely different platforms. There are plugins that work with AliExpress on WordPress and there are plugins that work with Shopify. First, you decide on the platform you are going to use and then take a necessary plugin. I need a help about shipping. There are different charges for different products in different countries. If we set a fix price for shipping in countries then it will be more costlier for some products. So can you help me in shipping sector so I can put the exact same shipping charge as Aliexpress. I would recommend using free shipping option or e-packet delivery method that is free or costs $2-$5. If I already have my hosting and wordpress website can I steal use it? Yes of course! You can still use it. Can any one explain how the payment works ? If a customer make an order and i got paid who’s gonna pay to the drop shipper on aliexpress ? Once you get an order and payment, you need to process the order with the plugin and pay your supplier on AliExpress yourself. Is the plugin for just one PC, or if we adjust the webshop from 3 different CPs, will it let us? Hello, you can use your site with the plugin using any number of PCs. Hello, yes you process the order directly from the admin panel. The plugin redirects to AliExpress and fills all order details automatically. The status is changed automatically too and the system sends email notification to your client. can i use this plugin to import products from other websites to my website. Hello, I make e-commerce stores and sell them. So in that case, do I need to buy this plugin every time I create a website for selling? Hello, yes, you need a license for each site, because one license key is valid for one domain only. can Alidropship import products from other suppliers other than Aliexpress? We are working with AliExpress only. I would like to to open my store on alidropship and i am located in Cameroon. Which gateway payment are best suited for my business to receive money from accross the world. i already have a inventory based woocommerce store. so if i add this plugin will i be able to keep both products, which i have inventory of and from aliexpress. pls give a detailed answer.